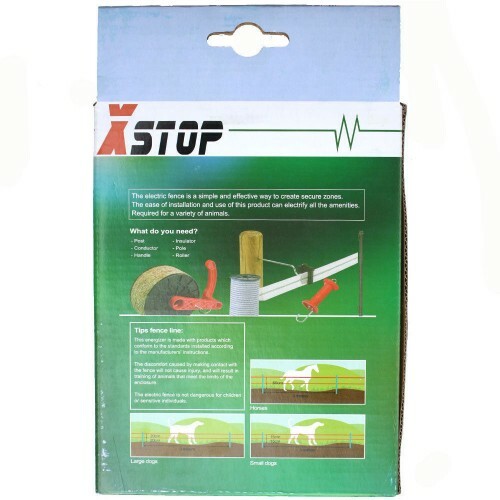 Ideal for: Horses, Ponies, Cattle, Pigs, Dogs, Pheasant Pens, Cats, Rabbit Pens, Poultry, Chickens, Hens, Fish Ponds and Foxes. 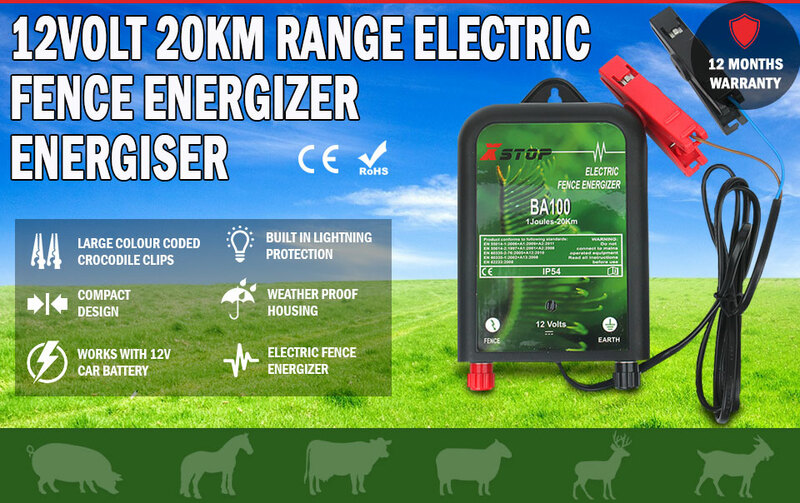 A great 12v Energiser (1 delivered joules) which will easily power 20Km of wire with light vegetation touching. A longer fence still,if clear of vegetation. 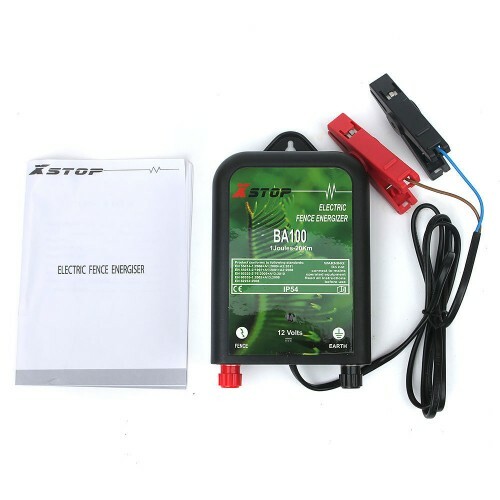 Will work well with a 12v car battery. Comes complete with cables and clips to attach to your battery. 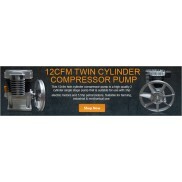 12 month warranty against manufacturing faults. Super Value! Please note that this listing is for the energiser and battery leads ONLY. Fence, earth stake and fence wires are NOT included. 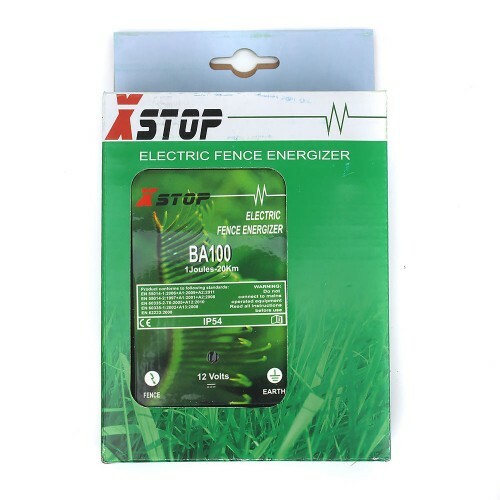 We only sell these components because most people only need to update their energiser and have a fence already set up. You can buy fence leads cheaply on ebay or at your local hardware store. A common question is: How often will I need to charge my battery? 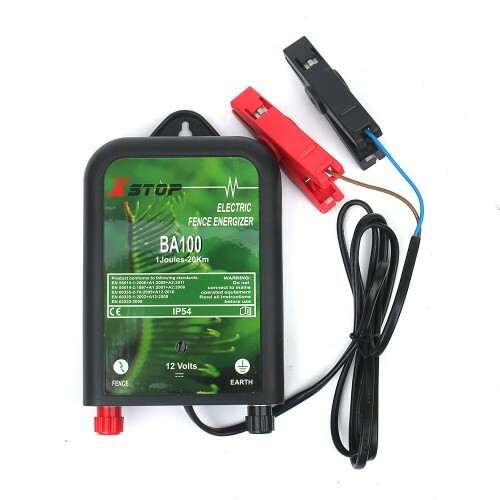 If using a car battery it depends upon the size and type and state of your battery. Find out how many amp-hours it is. The energiser draws 0.96 watts (say 1watt). You use the equation: watts = volts x amps (amp-hours). 1 = 12 x your battery amp-hours. 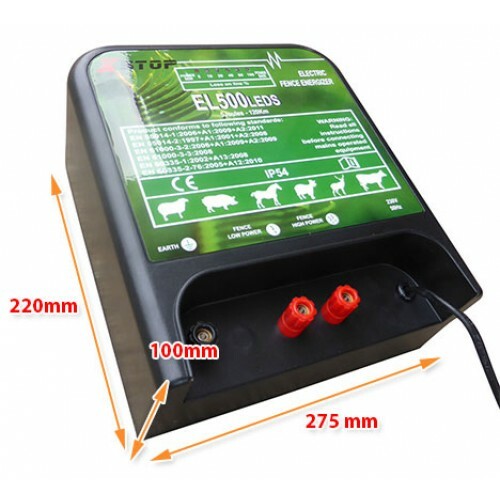 So if your battery is in top condition and is 25 amp hours the answer is 12 x 25 hours = 300 hours which is 12.5 days. 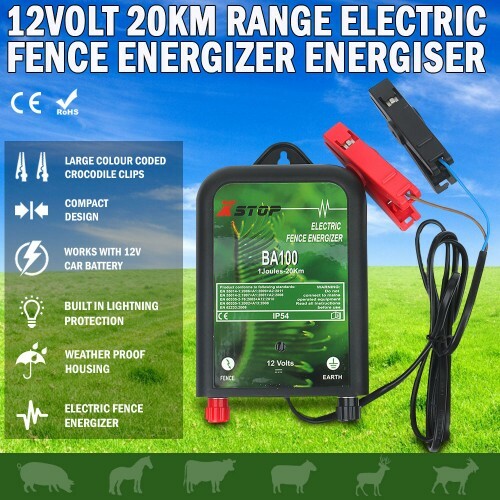 FAQ's: Is the fence/lead/earth stake included? As you can see, this energiser does come with cables and clips to connect to the battery, but it does not include any other materials which you are already likely to have ie. fence wiring, earth stake etc. This listing is for the energiser unit only. This ensures the best price for those who already have a setup and seek only the energiser element.